The Victory custom program allows you to personalize your Victory Cross Roads touring motorcycle 48 different ways, right at the dealer, right when you buy it. Order, customize, drive - no waiting, no worries. You get to pick your color, saddlebag style, windshield style and tip over protection - there's over 48 different customization combinations for these touring motorcycles. You don't waste time waiting for parts to be delivered, or wasted stock parts that you just remove once you get the bike. You'll be out on the road enjoying the power and customized style of your Victory Cross Roads before you even realize it. 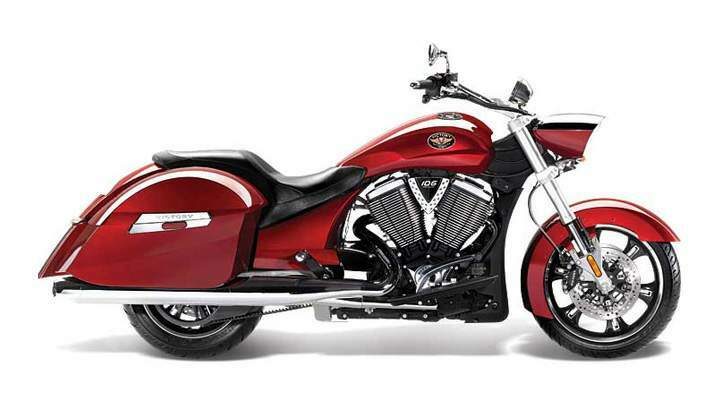 The Cross Roads touring motorcycle looks just how you want it - but it performs just like a Victory. That means you get the benefit of world-class performance wrapped in a custom shell. 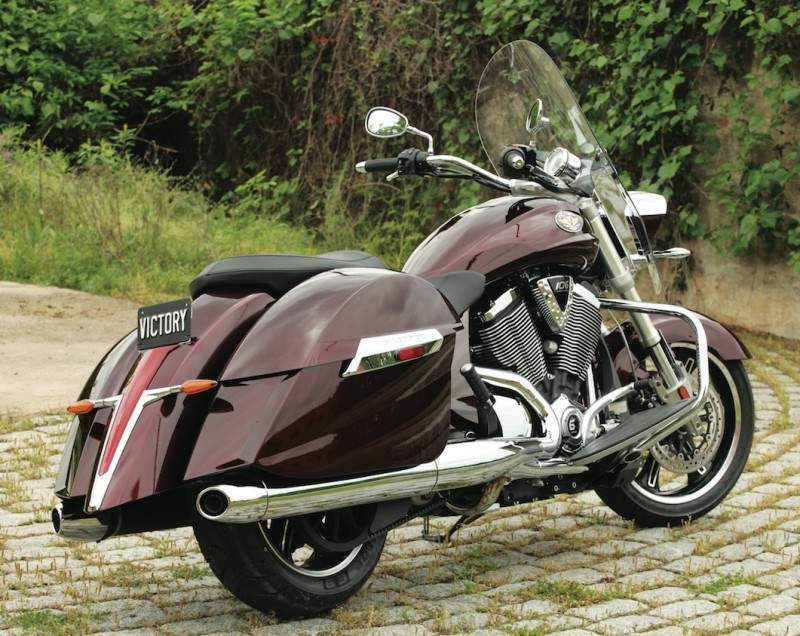 The Freedom 106 V-Twin engine that produces a road walloping 97 horsepower is still inside, no matter what color you chose. We don't offer hot pink, but if we did, this bike has the muscle to back it up. At the heart of the Cross Roads sits the Freedom V-Twin power plant, expertly balanced for the perfectly controlled explosions that deliver 97 horsepower and 113 ft lbs of hole shot torque. Maestro of the motorcycle world, it's what keeps man, machine and highway working together in perfect harmony. Now anyone who hears the call of the open road can answer it with the crack of their own throttle. At $15,999, there has never been more opportunity to put the wind in your face or the power of a Freedom V-Twin in your fist. So saddle up and explore wherever those newly acquired miles of blacktop take you. 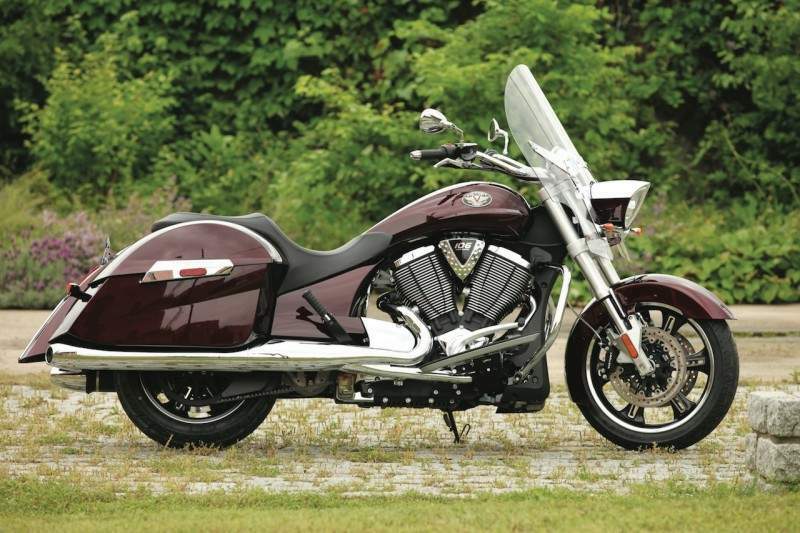 Standard on the Cross Roads, the Victory Anti-Lock Brake System doesn't discriminate between dry, wet or rock-strewn pavement. No matter what the conditions, ABS monitors what the wheel is doing and gives you consistent, smooth braking from the handlebar lever down to the rubber on the road.